¡Hola Argentina! is a delicious three-part tour. The “main course”: eight days in Buenos Aires and Mendoza. 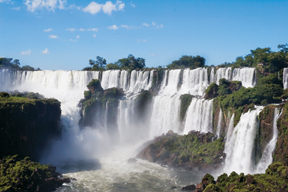 Travelers may also choose an “appetizer” trip to Iguazu Falls, the world’s largest waterfall (above) or “dessert” travel to Bariloche Lakes and Patagonia. Experience Argentina—a land of astounding beauty, open spaces, and world-class cuisine—with faculty study leader Hansjakob Werlen, professor of German, and alumni host Raymond Hopkins, Richter Professor Emeritus of Political Science, from March 5 to 14. A member of Slow Food’s International Council on Biodiversity, otherwise known as the Ark of Taste, Werlen has traveled widely in South America with a special focus on Argentina, and his insights and recommendations have been incorporated into our itinerary to make this a truly unique travel experience. From May 5 to 17, Professor of Art History Michael Cothren will be our faculty study leader as we experience Turkey—a fascinating study in contrasts where extraordinary Byzantine, Roman, and Ottoman historical sites are scattered along sunny sparkling seacoasts and in the middle of bustling enthralling cities. Relish the legendary cuisine, the tapestry of cultures, the breathtaking landscapes, and the overwhelming diversity of this magical land. 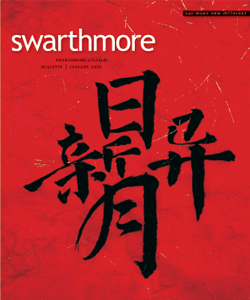 For more information, please call (800) 789-9738, or e-mail alumni_travel@swarthmore.edu.